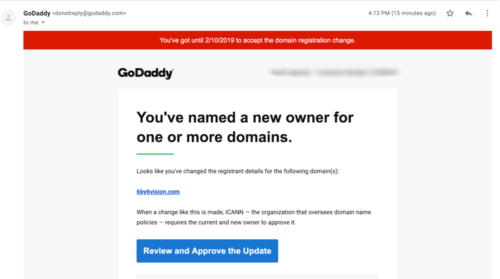 GoDaddy is one of the most popular domain registrars, and despite being in the news for all the wrong reasons, GoDaddy is still the most popular choice for domain name registration. Domain buying and selling is one of the best online businesses. Without getting too much into it here, buying and selling domains can be very profitable. One of the best places to buy a domain is on GoDaddy. It’s also one of the best places to sell them too because everyone knows of and trusts GoDaddy. 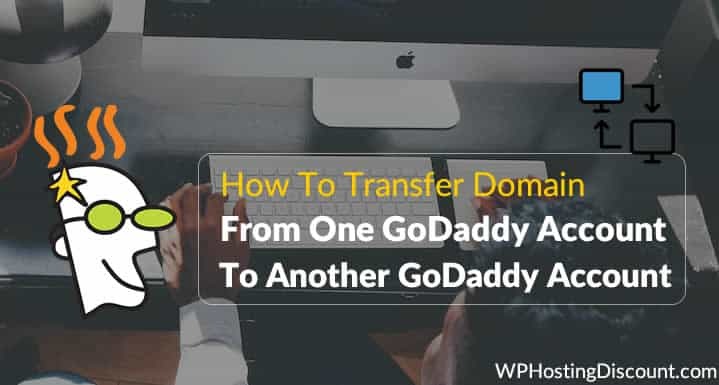 When you sell a domain bought from GoDaddy, instead of taking the long route of giving a domain secret to another party, you can simply transfer (push) the domain to another GoDaddy account. All you need to do is ask the buyer to create a GoDaddy account, and you can push the domain to that buyer. Select the domain which you wish to transfer. 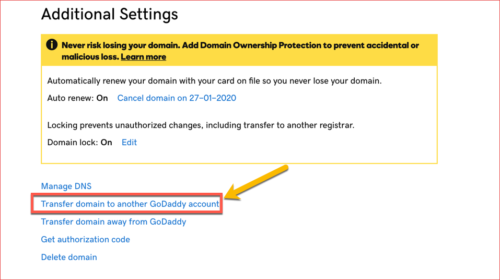 It will display a pop-up where you need to enter the other GoDaddy account holder’s login ID and registered email address. 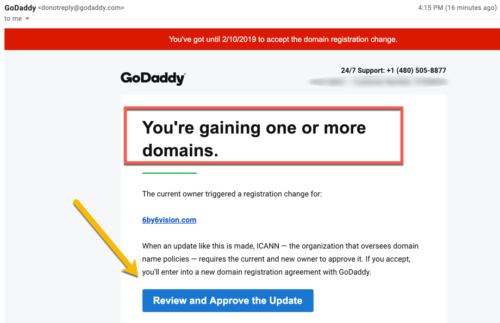 Make sure to click on “Keep the current nameservers for these domains” or else GoDaddy will change the DNS to point to GoDaddy servers. If you have a site on that domain and it’s hosted on any 3rd party server, the site will start showing an error. Since you are not using the domain anymore, I recommend you select the second option which says: “Use details from specified customer account”. This will update the domain registration information using the new domain holder’s details. On the next page, you will have to approve the TOS. Do so, and click “Next”. This will save and update the changes. 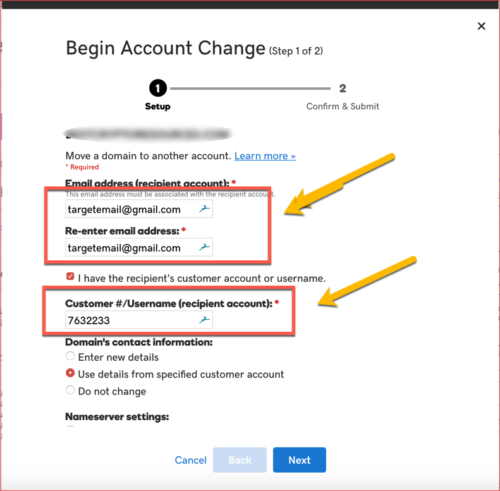 Now, if you go to your domain manager page, it will show the domain status as “Changing accounts”. Similarly, the person who is receiving the domain name, will also receive an email and they have to approve receiving the domain name by clicking the link on email. In some time, your domain will be transferred over to the new user. You can also refer to this official help guide for more information. Personally, I find this feature to be very useful for people who are into the business of buying and selling domains and websites. This tutorial is also useful if you are buying domains for your friends or family. You can always buy a domain from GoDaddy and push the domain to your friends and family as a gift. When it’s over, you will get an email confirmation from GoDaddy. Don’t forget to check out my earlier guide on how to increase domain name security. I hope this quick tutorial will help you transfer a domain to another GoDaddy account. If you are stuck somewhere in the middle or have any queries, feel free to ask via the comments.